T-Rex July Promotion at CARiD - Ford F150 Forums - Ford F-Series Truck Community. Have you seen those tough custom trucks driving around in your town. Why not make your own truck look tough and make it stand out in the traffic. 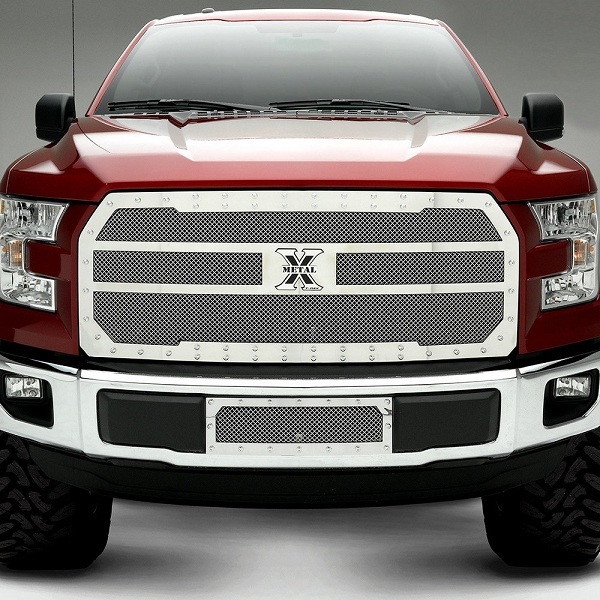 Custom grille by T-Rex is a perfect way to go. 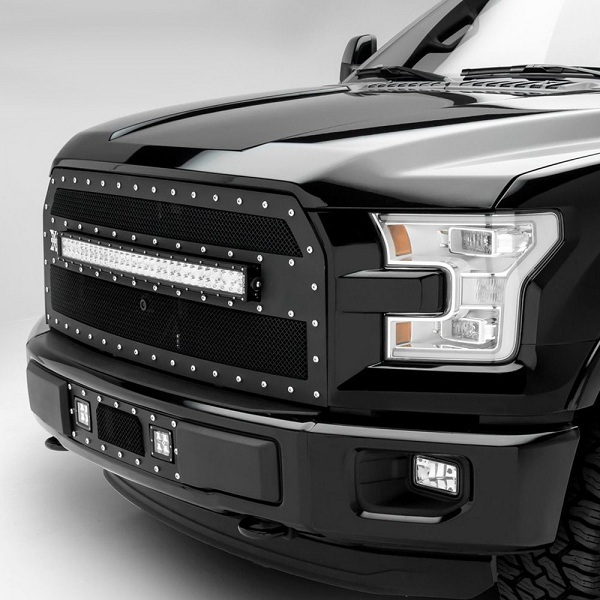 They offer all kinds of grilles starting from stock looking black/chrome mesh or billet style grilles up to some of the most badass models equipped with built-in LED bars and heavy studs. 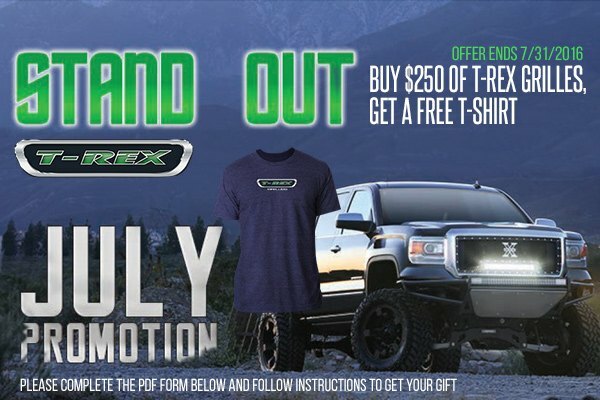 Buy a T-Rex grille worth $250 or more and GET a FREE 4 Color T-Rex Tee Shirt! This offer expires on July 31, 2016. Leave a comment or PM me today for quotes!